#GreenlandPioneer – learn it, love it, live it! 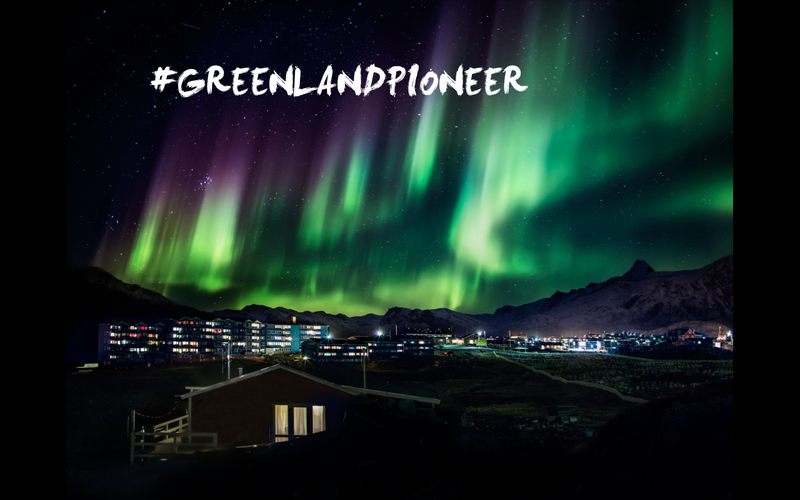 Use #GreenlandPioneer to find the largest collection of inspiring photos, stories, and news on social media channels like Instagram, Facebook, Twitter, and LinkedIn, you name it! What is a #GreenlandPioneer, you ask? Everyone is welcome to his or her own interpretation, but we at Visit Greenland consider a #GreenlandPioneer anyone who travels to this great northern land to discover for oneself the true meaning of experiential travel. And it’s not only those who traverse the backcountry who count; travelers in search of culture-based holidays are every bit the Greenland pioneer, too! Like what you see in the photos and stories tagged #GreenlandPioneer? Then splurge! Take the plunge! Come see Greenland with your own eyes! Last year, Destination Arctic Circle released a five-part series of short films highlighting everything from the BMX biking trend in Sisimiut to fly fishing in pristine mountain rivers in the backcountry. 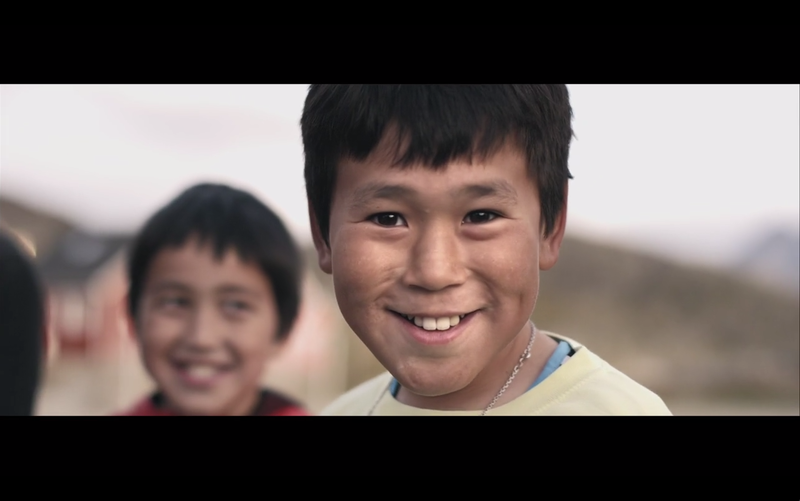 Click here to see one of my favorite videos of all – Village Culture in Greenland. PS – the singer is my oh-so-talented colleague, Mads Lumholt! To view the other videos in the series, see the Rough. Real. Remote. vimeo page. Do you know about the Big Arctic Five? If you can only do five things in Greenland, make it the Big Arctic Five! They are tried and true – every single memorable experience I have had in Greenland includes some combination of these essential elements! Meet Pioneering People – At the center of everything are the people who live in and love this country! Experience Ice and Snow with all 5 senses – Be it glaciers, floating icebergs, or the massive Ice Sheet, you are never far from this element! Traverse landscape via Dogsled – Thanks to the Greenlandic Dog, who lives to run/pull a sled, you can get to places you could never dream of reaching on foot. Gaze at the Northern Lights – Sunlight may be fleeting in wintertime, but the sky is far from dark. Watch the sky come alive as a vision of green and purple! Go Whale-watching – Spot these majestic summer visitors during a sailing tour or maybe even from the comfort of your own balcony! Also, stay tuned for upcoming posts about my personal experiences with each of the Big Arctic Five! 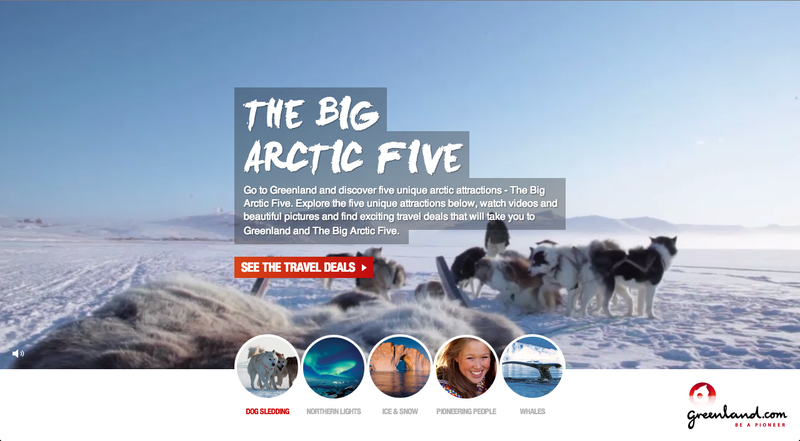 Just select “Big Arctic Five” in the Category menu on the Home page! The very next weekend, Pia, Sharon, and I went to another music concert, this time at Katuaq to see Simon Lynge perform with an English fellow, Richard Lobb. This was a very nice concert because it is such a small and intimate venue. It is like going to a concert in the United States but the entire venue is the size of just the VIP front stage section. So we all got VIP tickets! Sharon had been listening to his music for months and really, really liked him, so she knew lots of the lyrics! He sings primarily, if not only, in English, so that is easy and accessible! I did not know the lyrics at the time, but I found some songs that evening that I really liked, so I have since learned their words now! Hotel Hans Egede had a Jubilee event to celebrate its 25th year, and Pia, Sharon, and I got tickets. They were 349 DKK each. It started with a nice three course dinner – smoked trout for the appetizer, muskox for the main course, and handmade ice cream for dessert. Then there was quite a bit of waiting time – two hours, I think! – before the music began. Aviaja Lumholt opened for an hour, and I actually liked her performance much more than Rasmus Lyberth’s! She has a very cool style, and she is fearless on stage! She would get so into the music and her dancing it was like she forgot she was being watched! She finished with an interpretation of traditional mask dancing which was awesome! By the time Rasmus Lyberth came on stage it was midnight and we had been there since 7 PM! So we did not stay very long, perhaps an hour, because we were tired from waiting but also from the party the night before. For me, Aviaja Lumholt was the best part of the evening, followed by the meal so I could taste the Sarfalik food, and Rasmus Lyberth was the low point! I can now say that I have been to two Kaffemiks so far in Greenland! It was a coworker, Mads, and his wife, Lisbeth, hosting Kaffemik to celebrate the Konfirmation of their son, William. They live just across the street from where I am staying in Qinngorput, so it was nice and convenient to get there! Sharon rode the bus from her place and I met her so we could walk over together. There were a few other coworkers there, so we had people to talk to. Also, Sharon met and talked to a nice man and his Nigerian wife who told us stories about hunting trips, food, and the rise of Type II Diabetes in Greenland with the decline of a diet rich in fish, seal, and whale. He was very well spoken and very interesting to listen to. We stayed for a couple cups of coffee, some food (roasted potatoes, sushi, green been and tomato salad, shrimp), and sweets, of which there were at least seven different cakes, pies, and cookies! As with the first Kaffemik I went to, the sweets are laid out on the tables, and newcomers simply pick up a coffee cup and plate set, walk around and serve themselves the food and sweets that they want, and then find an open seat to enjoy! There was one new thing that I encountered – a small cup of slices of rendered fat on the table. Mads said that people use it in coffee as a substitute for cream! The man Sharon was talking to backed this up with a story of eating raw fat and reindeer meat while on a hunting trip. However far the hunters have to walk to find the reindeer is how far they have to walk back with the animal in tow once they have shot it – this is often many, many miles and an extreme physical challenge. Eating the fat and meat from the very animal they are carrying gives hunters a strength and energy that rugbrød cannot. After our share of coffee and sweets (about 30-40 minutes), we got up so to make room for the next round of newcomers! All in all, a most relaxing Sunday! Read more about Kaffemik in Greenland here! Around 1400, my host family took me on a driving tour of Nuuk. We started at the far southwest end of Qinngorput where new flats are being built to house the people who will be relocated from downtown when the old Bloks are leveled in order to be rebuilt. We went all around Qinngorput, past the other residential area called Nuussuaq, to the industrial/harbor area, downtown past the Greenland Tourism & Business Council office on Has Egedesvej, around the new University area, around the airport, and then back to Qinngorput for Kaffemik. 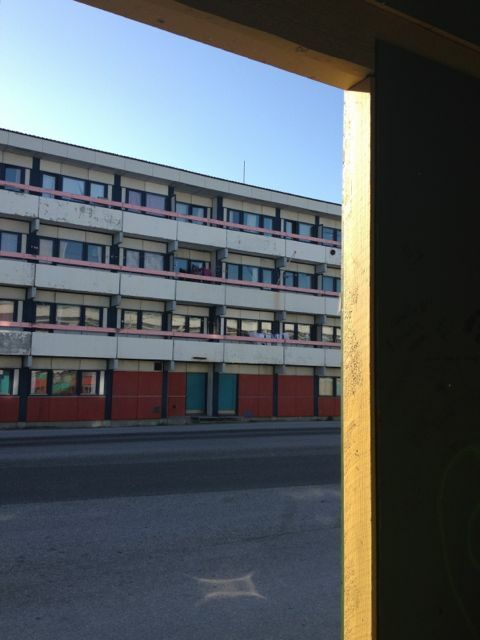 This is a picture of the Bloks, old housing right in the center of town. This is one of the many cemeteries. A lot of the older ones have filled up, so they have to move to a new space. This one is on the west side of town near the old University building and the Moravian Monk Ruins. I was very fortunate to experience Kaffemik on my first day! Kaffemik is one of the most important and central aspects to Greenlandic culture (read more here)! It is essentially a weekend party one holds at his/her own home to celebrate a birthday, a wedding, a confirmation, going away on holiday for a few weeks, returning from holiday, etc. People find many reasons to host Kaffemik! The hosts provide all the food and drink, so it is somewhat of an undertaking to host, especially when there are many friends and family in attendance. This is a tradition with deep Greenlandic roots because the family wants to show that they have an abundance of food; it is a status symbol. Depending on how many kids one has and how often they want to host friends, people could host Kaffemik just a couple times a year or as frequently as every month or so. Hosts invite many people to their Kaffemik, but everyone does not come all at once. It is a very casual, relaxing, and fluid sort of event. People come and go as they please, and the hosts always have plenty of food and drink ready for newcomers. Traditionally, the Greenlanders spend only a little bit of time at each Kaffemik, perhaps a couple cups of coffee’s worth, and then go about their way. I am told the Danish like to spend a lot more time at Kaffemik, though! If you have been invited to Kaffemik but wish to do another activity that day, it is not rude to decline. It is common practice, however, that guests bring a small gift for the host or the person of honor. Today, Kaffemik was just up the street in Qinngorput at the home of Katrine and Thomas in honor of the 11th birthday of their son, Manu. This couple is one of my host family’s very good friends; they own a boat together and often go on sailing and hunting trips together. There must have been fifteen or more adults there and who knows how many children – they were all in the back bedrooms playing and having a good time! There was main course food in the kitchen, beer and wine on the counter, and all sorts of sweets, breads & butter, and coffee & tea on the tables. Two eating tables were set up, picnic-style, in addition to standard living room furniture, and people were seated all about. When we sat down, Katrine came over with a set of clean dishes – a coffee cup and saucer, a spoon, and a plate. Everyone just walks around and helps himself to whatever he wants. I started with tea and some raisin bread & butter but throughout the afternoon had sweets like cookies and strawberry tart. Thomas was very kind and asked me if I had tried the musk ox yet. When I said no, he directed me toward the kitchen to try some… so I did! It was very good! He said it was meat from an ox he had killed last year, and oddly enough, later that same evening my host family and I looked at pictures from that very hunting trip! I met many people at Kaffemik – Katrine and Thomas, Jakob and Charlotte, Pia, and Sussi & Peter. Most everyone knows English, but they don’t speak it unless they are talking directly to me, which was more or less quick conversation. Pia was helpful, though; whenever she thought about it, she would quickly tell me the gist of the conversation. I don’t mind, though; I am enjoying just being immersed in the language. A personal goal is to be able to speak it myself by the time I leave! We left Kaffemik about 1700 and I took the opportunity to write a bit about the afternoon before going to Sushi dinner with Anne Mette and Sharon at 1900. Anne Mette lives just down the street in Qinngorput also, so she picked me up and then picked Sharon up on her way into town. We did another short driving tour (which was nice to reinforce what I thought I had remembered from earlier) and also did a short tour of inside the Visit Greenland office. I will be on the bottom level and Sharon will be on the top level. Then we went for Sushi dinner at, oddly enough, the only sushi restaurant in town! We had a couple pots of tea, miso soup, and lots of sushi – salmon, shrimp, and halibut! When I got back from dinner, my host family had two friends over, Katrine and Hans, whom they say are some of their closest friends. Katrine is from Ummannaq (a town in North Greenland that means “Heart-shaped”) and was very friendly; she was also very willing to talk to me in English, more so than anyone I have met so far! 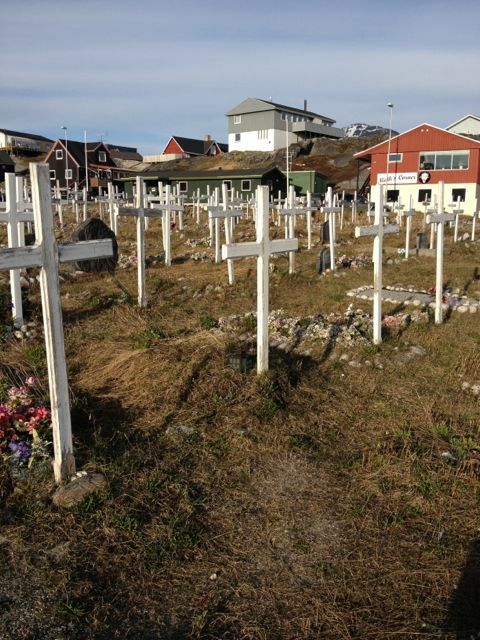 We looked at a few commercial videos of Greenland and then looked at a ton of Ulrik’s photos. All in all, it was quite a social day – from family breakfast, to Kaffemik Manu, to dinner with Visit Greenland coworkers, to an evening in with Katrine and Hans… I am beginning to see that my host family is very social, and I am loving it because it means that I will probably get to meet many more people than I would have ever met living alone in a flat downtown or in Nuussuaq! I think I’m going to make it just fine in Nuuk!